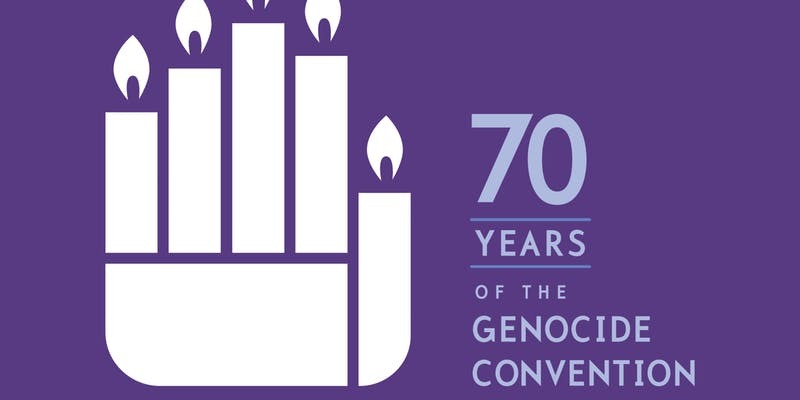 On 9 December MIGS, in partnership with the Montreal Holocaust Museum, the Canadian Museum of Human Rights, the Alliance for Genocide Awareness and Remembrance, and the Raoul Wallenberg Centre for Human Rights, will host an event at Concordia University to mark the 70th Anniversary of the Genocide Convention. Speakers include the Honourable Allan Rock (former Canadian Minister of Justice and former Canadian Ambassador to the UN), as well as several survivors of genocide and mass atrocities, including Eloge Butera, Eva Kuper and Ketty Nivyabandi. The discussion will be moderated by Radio-Canada journalist Sophie Langlois. Registration for this event is mandatory, and can be found here. German member of parliament Barbara Lochbihler presented the Milan Plan of Action on Preventing Violent Extremism and Mass Atrocities at the 18th Informal ASEM Seminar on Human Rights in Yogyakarta Indonesia. The plan of action came out of a partnership between Parliamentarians for Global Action, MIGS and the Stanley Foundation. MIGS Democracy Fellow Ahmed Mahloof was awarded the Parliamentarians for Global Action’s Defender of Democracy Award. MIGS Fellow Marty Castro has been selected as co-chair for the Committee on Equality, Equity and Opportunity, to tackle civil rights issues in the state of Illinois. More information about his appointment can be found here. Digital Fellow Dr Joanna Cook was awarded the 2018 Young Alumni Award by University of Regina for her work on women in conflict, counter terrorism, and women in violent extremism. Geoffrey Robertson describes how the murder of more than a million Armenians in WW1 constituted a genocide. Sir Geoffrey Nice QC describes in Speaker’s House how States interfere with the interests of citizens/victims of genocide in a judicial process and how this must be challenged. MIGS, in partnership with the Raoul Wallenberg Centre for Human Rights, will host Iranian human rights activist Shaparak Shajarizadeh. Named one of the 100 inspiring and influential women from around the world for 2018 by BBC, Shaparak Shajarizadeh has become one of the leading figures of women’s rights in Iran. She will be interviewed by Celine Cooper, faculty lecturer at Concordia University's School of Community and Public Affairs, contributor to OpenCanada.org, and a former columnist with The Montreal Gazette. This event is part of the official programming of Women In International Security - Canada’s 2018 16 Days Campaign for the elimination of gender-based violence. Registration for this event can be found here. MIGS is partnering with the Montreal Christ Church Cathedral to mark the 70th anniversary of the Universal Declaration of Human Rights. More information about the event can be found here. MIGS hosted a discussion with the Sana’a Center for Strategic Studies’ Farea Al-Muslimi and Spencer Osberg. After travelling to Yemen in September, the speakers provided insight into the situation on the ground and discussed the most recent developments. La Presse journalist Agnes Gruda wrote an article on the event. 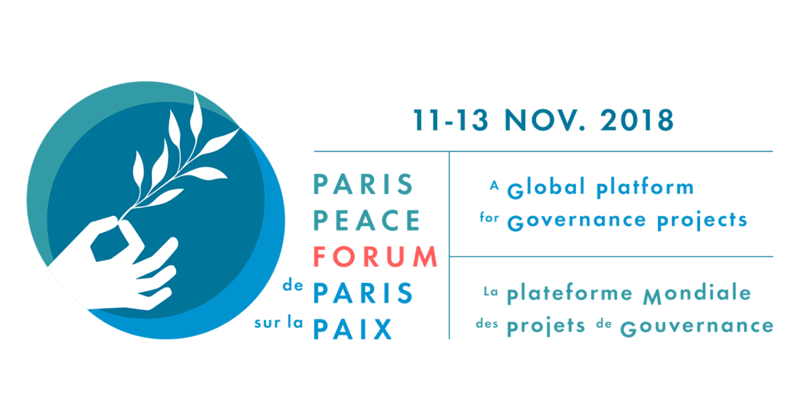 Kyle Matthews attended the inaugural Paris Peace Forum. For further information and takeaways, read the article that he wrote for OpenCanada.org here. MIGS hosted an event to raise awareness of the plight of the Yazidi people in northern Iraq. Speakers included the Honorable Michelle Rempel. Professor Sir Geoffrey Nice QC, Neville Lazarus, Ahmed Khudida Burjus, and Benedict Rogers, MIGS fellow Ewelina U Ochab (moderator). (Neville Lazarus and Geoffrey Robertson QC not pictured). Digital Fellow Ewelina Ochab was quoted in a Huffington Post article about the imprisonment of Asia Bibi in Pakistan. Digital Fellow Phil Gurski wrote an article for Ottawa Citizen about the problems with linking terrorism and immigration in Canada and elsewhere. Digital Fellow Anne Speckhard was quoted in an article about the return of ISIS foreign fighters to Jordan. Kyle Matthews appeared on Breakfast Television Montreal to discuss Donald Trump’s response to the murder of Saudi journalist Jamal Khashoggi. The Montreal Times covered a talk co-hosted by MIGS, given by intellectual and writer John Ralston Saul about the fight for Freedom of Expression around the world in October. Read the article here. Be part of our panel at the International Conference on Public Policy (ICPP4) ! Topic: "Canada Mapping the Impact of Misinformation, Disinformation and Networked Hate: Current and Future Challenges and Solutions"